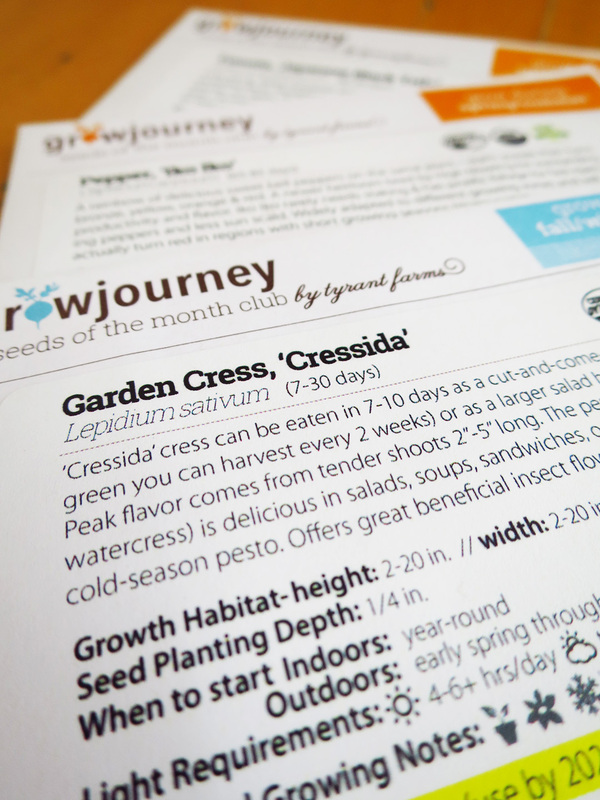 I have discovered that one of the things I enjoy most about receiving monthly seeds from Grow Journey is the reading and learning that accompanies each arrival. Much of what we do well is a combination of a love of the subject, experience and instinct. But when you add solid information and method, the result is good technique. Good technique is the backbone of most beautiful things. Good food, music, art. Gardens. So, OK; I wax lyrical. But it's January, and there are feet of snow on the ground here in Brooklyn, and gardeners must think big thoughts in January because they can't do anything else. When a Seeds of the Month envelope from Grow Journey arrives in the mail, I go straight to my member sign-in on the website and click on the My Seeds tab - this is a personalized member perk, and where the learning begins. The Grow Journey team has put a lot of effort into background stories for the plants whose seeds you receive monthly, with practical GrowGuides (screenshot below), as well as information on sustainable growing practises - much of which is teaching me details of organic gardening and permaculture that are new to me (and timely, given my gardening move from containers to in-ground). They are also developing visually sophisticated but practical GrowPlans: graphics that illustrate how to combine particular edible plants for specific exposures, taking into account sun requirements, time of harvest, and plant heights in relation to one another, for maximum aesthetic impact. So my seeds are arriving and a small pile is growing. What about winter? 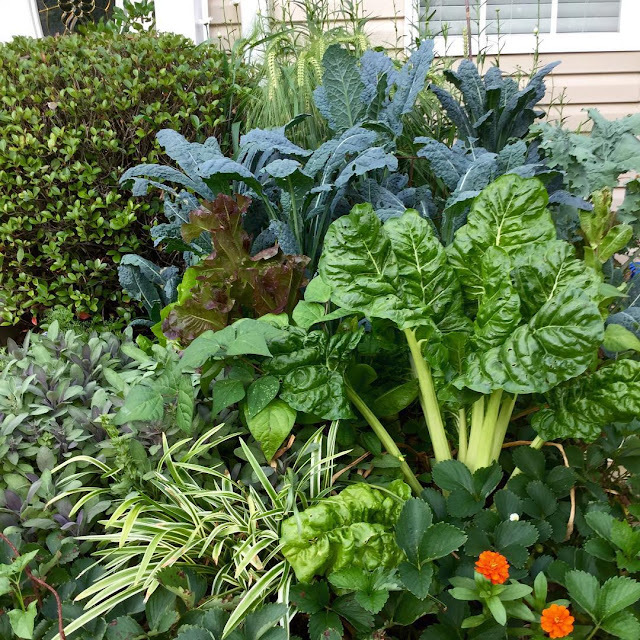 Well, I'm thinking: which crop will go where, and when, in our vegetable plot - the area (10' x 10') of our back garden where only edibles will be grown, and in the beds on the edge. These side beds have herbs and fruit (blueberries, black raspberries and strawberries) and will have some vegetables, along with many flowering perennial ornamentals. Those are for my pleasure, but are also effectively plant guilds (a permaculture term, basically companion plants), which will provide habitats for beneficial insects and organisms, for the ongoing adventure that is my organic gardening life. I am very happy about the garden cress (Lepidium sativum) in this month's package (to be sown 4-6 weeks before the last frost). I love salad leaves, and I love peppery cresses; I forage for Barbarea verna every spring, and this one has a similar bite. It will also handle some of the shade that I have. "We’re realists who think that it’s become quite clear that industrial agriculture (as currently practiced) is a demonstrably bad answer to a good question: “How can we feed everyone in the world without destroying it?“ We’re optimists who believe we can help design a better food system: one seed, one person, one yard, and one farm at a time." Realistic, gardening optimists are hard not to like. I learned at Abalimi bezekhaya that microfarming is probably the answer to world hunger, and to the environmental and ethical ills attendant to massive monoculture (plants or animals). 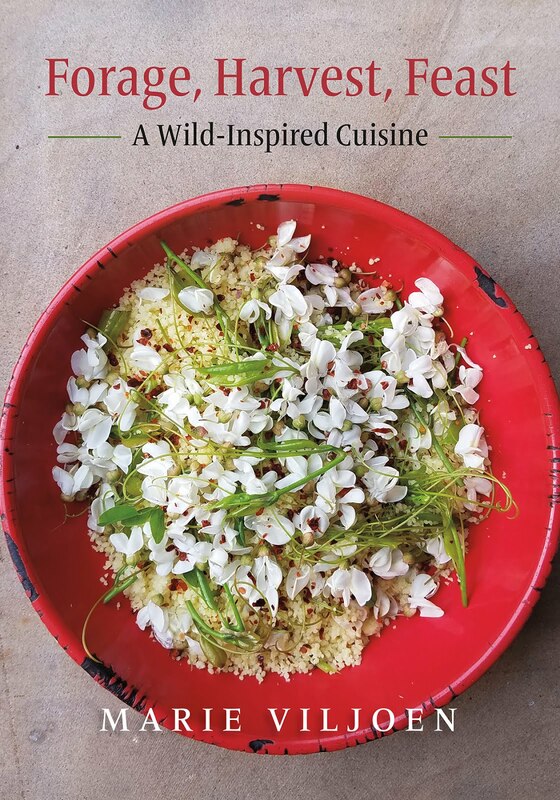 In my foraging and horticultural life, I grow and collect for the kitchen because it gives me pleasure, but also because both practises teach me about how food grows and how it can be grown, as well as the beauty of seasonal eating. I never really understood what we eat until I began to grow it myself. We need change, and each of us can contribute to that change by amending everyday habits - such as the way we eat and garden. Belonging to a wider community of like-minded growers is one way to achieve this, and that is what Grow Journey offers. For more information, and how to become a member (there is a 30-day free trial), visit the Grow Journey website. 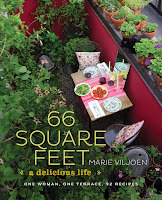 66 Square Feet is a Grow Journey partner - see my previous post. Wonderful post! Informative, helpful and given the calendar and piles of accumulated snow, hopeful as well! Oh hello, this post has just caused a much needed jump of anticipation in my heart. Our summers have been so miserable here I've had little luck with growing. But this sounds interesting, affordable and doable. You've done it again, you temptress you. I have just set up my growlight planter, much too early for Southern Ontario I know, but every time I look at it I'm inspired. I always get my seeds from Veseys, in Prince Edward Island, (Canada), who have a wonderful catalog. They ship to the U.S. Have a look at their websight, www.veseys.com. On behalf of GrowJourney, thank you, Marie! 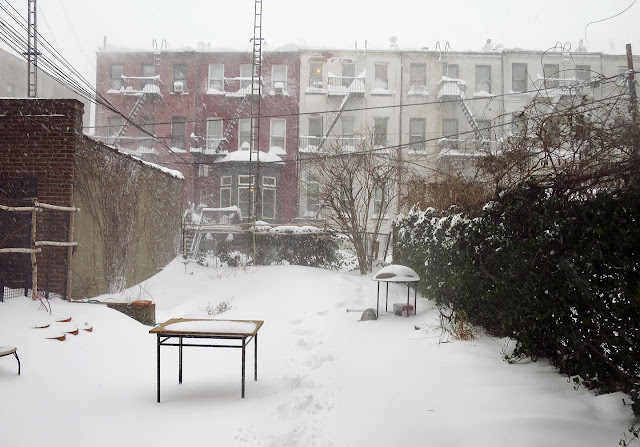 Can't wait to see your spring garden come to life when you thaw out up there. Completely agree with you: the more people who have hands-on knowledge that can only come from growing or foraging food, the better. We need a broader societal awareness of the systems that sustain life on the biosphere, and food production has a more profound impact on those systems than any other human activity. It's critical that we do better, and public policy and markets will only change if we have knowledgeable "consumers" (an icky word) demanding those changes with dollars and votes. Snow's a melting... It will be an interesting growing year, Aaron!